Coming to PlayStation 4, PS Vita, and PS3 in late March. Dynasty Warriors 8: Xtreme Legends Complete Edition for PlayStation 4 and PS Vita, and Dynasty Warriors 8: Xtreme Legends for PlayStation 3 will launch simultaneously across North America on March 25 and Europe on April 4, Tecmo Koei announced. Dynasty Warriors 8: Xtreme Legends Complete Edition includes all the content from Dynasty Warriors 8 and Dynasty Warriors 8: Xtreme Legends, and is compatible with save data from the PlayStation 3 version of Dynasty Warriors 8. 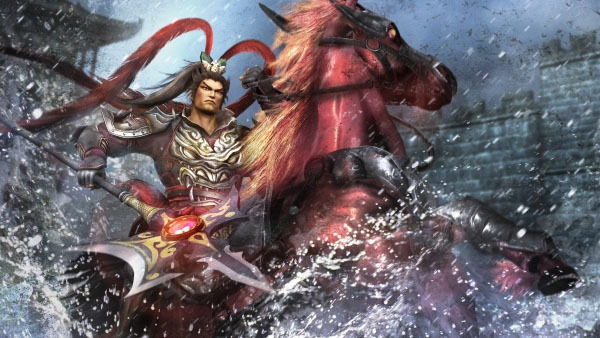 Dynasty Warriors 8: Xtreme Legends is a standalone expansion to Dynasty Warriors 8, including new episodes that add to the stories of the three kingdoms, focusing on Lu Bu. It introduces five new characters for a total of 82 playable warriors. It also adds multiple hypothetical scenarios that alter the plot-lines of various episodes through the ‘Romance of the Three Kingdoms’ story, as well as an expanded Ambition Mode and the popular Challenge Mode. Free Mode has also been enhanced, and now includes the ‘Ultimate’ difficulty level. View a new set of screenshots, as well as the game’s box art, at the gallery.